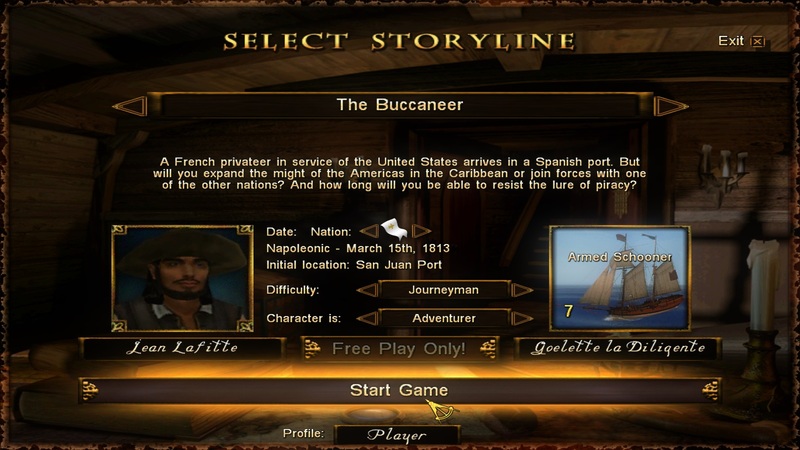 The "New Horizons" mod for the 2003 Pirates of the Caribbean game by Akella is a continuation of the famous Build mod series. Developed as Pirates of the Caribbean Build 14, "New Horizons" continues where Build 13 left off, adding more new content than ever before. There will now be at least one storyline where free play is possible in each time period. "Free Play Only!" note added for applicable storylines to prevent confusion. The Changing Relations Mod will now also be ON in any storyline where it does not mess up the main quest. So look forward to some turbulent times! Also, we started on adding sidequests to these to add a bit of variety.